This week, just ahead of International Men’s Day (19 November) we are delighted to be launching our two-year study, GenderEYE (Gender Diversification in Early Years Education), to explore, both internationally and in the UK, how men are recruited, supported and retained (or not) in the early years education workforce. to create evidence-based training and resources to strengthen efforts to make the sector more gender-diverse and gender-sensitive. Read more about our study here. To kick things off, we are heading to Norway – one of the most successful countries at attracting men to early childhood education, thanks in part to its national gender equality action plan, which includes a target of 20% men in the kindergarten workforce. Latest figures show they are currently at just over 10%. A group of seven – ourselves, lead researcher Joann Wilkinson and four ‘hub leaders’ (one each from London, Bristol, Bradford and Southampton) are attending a ‘knowledge exchange event’ at Queen Maud University College in Trondheim, hearing from Norwegian academics and practitioners about their achievements, challenges and plans for the future. What we learn will help shape our 2-year collaboration with the four English hubs that are central to our research, to find out what is and isn’t working here, and whether new, more fruitful approaches might be feasible. By the end of the project we hope to be in a position to support the wider UK early years sector to progress confidently towards a more gender-diverse, gender-sensitive future, supported by an evidence-based toolkit and training package. But ‘why?’, you may ask: ‘what’s the point?’ There are lots of answers one might give to this question. ‘Children need more male role models’; ‘Men are better at rough and tumble’; ‘Children benefit from being exposed to complementary male and female approaches to learning’; ‘Having more men around will help the problem of boys underperforming at school’. None of these reflect our thinking. Our interest in attracting men into the workforce is not motivated by the possibility that they might bring some idealised model of masculinity to bear on the nation’s children. Nor do we aim to improve boys’ or girls’ academic performance: that would be a great by-product of what we’re doing, but there is no evidence that having more men in the workforce would, per se, result in better educational outcomes. Rather our motivation derives from an understanding that the children’s workforce ought to reflect the population it serves, in terms of gender as well as other ‘protected characteristics’ such as ethnicity, sexuality and disability. – and that this should bring benefits to children, parents and wider society, as well as to professionals themselves. The sector has a long way to go. At home, mothers and fathers are sharing the care of young children more than ever before (see the Fatherhood Institute’s Cash or Carry (2018): pp36-9). There is a growing understanding that gender is constructed rather than innate, and can have a constraining effect on children’s choices (see for example Cordelia Fine’s Testosterone Rex). Calls for a ‘de-gendering’ of young children’s toys and clothes are getting louder (see the Let Toys Be Toys campaign, for example). Yet just 2% of the UK early years workforce is male – the same as 20 years ago; and gender-stereotypical expectations about women’s and men’s suitability as professional carers and educators of young children remain rife – and go largely unchallenged. So we want our research to explore how the early years sector ‘does’ gender and how it might do it better: what obstacles stand in the way of men putting themselves forward for such work? Where men are employed, how is their presence used to challenge gender stereotypes, rather than to entrench them? 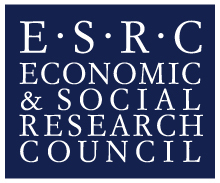 The theory that underpins our research – ‘gender-flexible pedagogy’ (for more on this, see Jo Warin’s book Men in Early Childcare Education & Care and/or her 2017 paper in Gender & Education) – could, we believe, help lay the foundations for the development of a more resilient, gender-savvy early years sector: one that can cope with having more men around, and hopefully help all staff, regardless of their gender, do a better job for our children. We look forward to reporting back on our progress as the study moves forward. 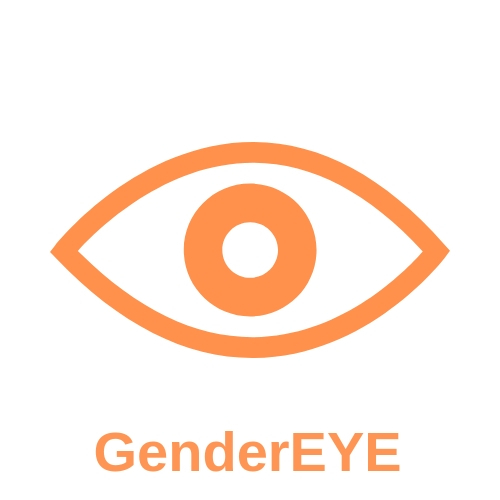 Look out for future blogs and updates to this website; you can also follow us on Twitter, and if you are a professional with an interest in what we’re doing, you could ask to join the GenderEYE Facebook closed group.